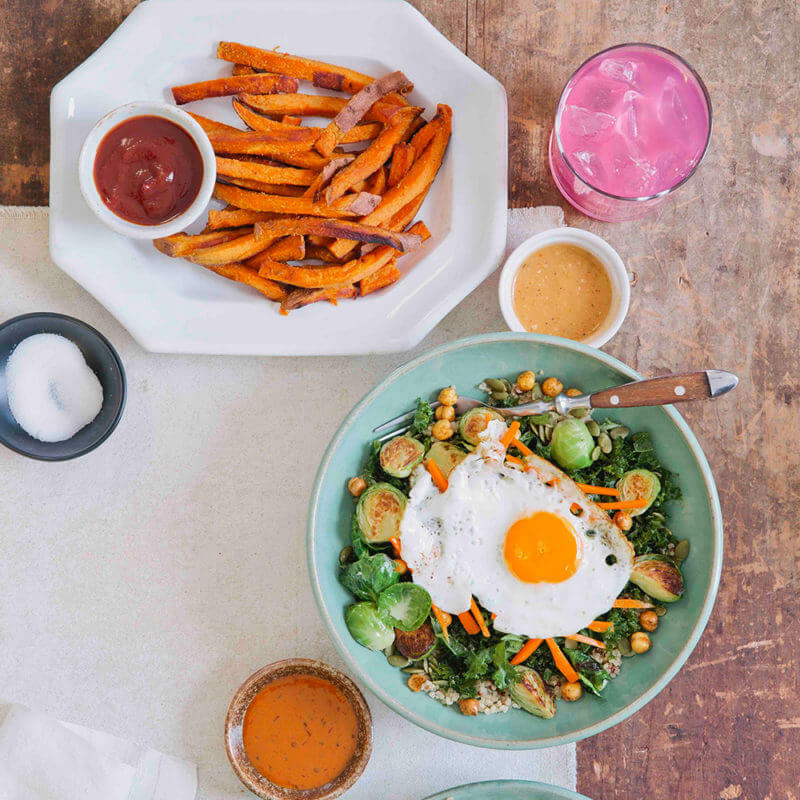 Here at B.GOOD, we serve “Food with Roots.” Rooted in family-worthy recipes, our burgers, kale + grain bowls, salads and smoothies are crafted with love and pride every day. Our seasonal menu features ingredients that are only used when nature deems them most delicious. From the farmers we know and trust to handpick our ingredients, to our store teams who are passionate about what they do, to our customers who are treated with genuine care, our roots connect our food, people and community. Seasonal outdoor seating and catering available. Want to host a fundraiser? Check out how on our website.